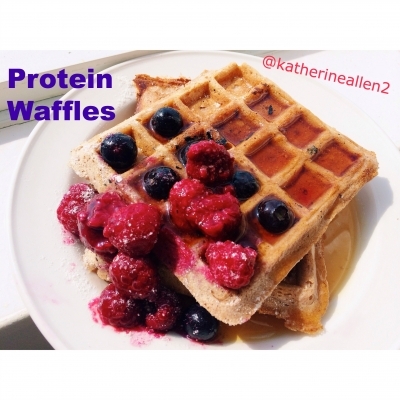 What better way to start your morning than with healthy waffles? These are also perfect as a post workout snack because they are high in protein! Once combined, evenly distribute on your waffle iron. Please a tea towel or paper towel under the waffle iron just in case some batter seeps out of the side once you close it. Let it bake for 2 minutes and then carefully remove!